Shares of Chinese technology giant Tencent Holdings/ADR (OTCMKTS:TCEHY) have given up all of their 2018 gains (and more) over the past month. In mid- to late March, TCEHY stock was trading around $60 and was up 15% on the year. Then the company reported fourth quarter numbers in late March that illustrated continued strength on the top line but pointed to continued deterioration in margins. Management subsequently emphasized on the earnings call that the company will be focusing on investments to fuel long-term growth, and will be doing so at the sake of near-term margins. 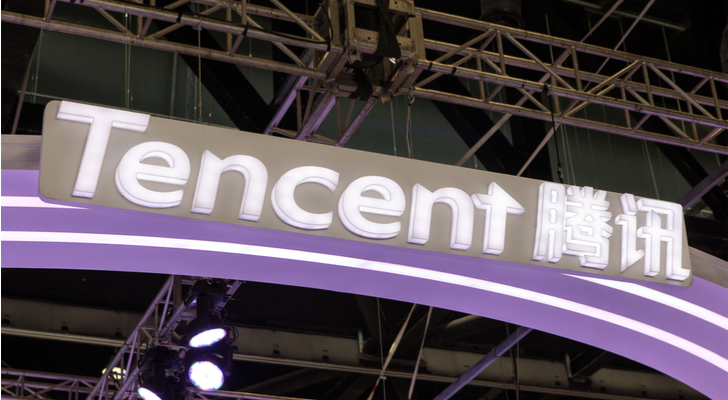 Then, long-time TCEHY shareholder, South African media giant Naspers Limited (ADR) (OTCMKTS:NPSNY), sold $10.6 billion worth of Tencent stock and reduced its stake from 33.2% to 31.2%. Only a few days later, news broke that Tencent president Martin Lau sold $55 million worth of Tencent stock and reduced his stake from 0.49% to 0.48%. TCEHY stock dropped. Big time. Now, it is hovering around $50, more than 15% off its previous highs. But is this recent weakness an opportunity to buy a red-hot Chinese internet giant at a discount? I think so. All of the noise weighing on TCEHY stock is just that: noise. It will impact the near-term picture and drag on sentiment. But none of these headwinds will affect the long-term growth narrative, which remains quite promising. Near-term margin compression? It’s necessary to fuel long-term revenue and earnings growth. See Amazon.com, Inc. (NASDAQ:AMZN) and Netflix, Inc. (NASDAQ:NFLX). In order to dominate a market (or multiple markets), you need to invest big, run on lower margins, and win over customers quickly, and then, once you’ve dominated the market, curtail spending and ramp up margins. In other words, margins will be depressed here and now. But not forever. And when they ramp back up, they will ramp back up on a much larger revenue base, implying huge profit growth. Insider selling? That’s a natural reaction after TCEHY stock has risen more than 70% over the past year and more than 150% over the past three years. You can’t really fault early investors for doing some profit taking. Moreover, there wasn’t much profit taking. Naspers did reduce its stake by 2%, but it still has a 31% stake in Tencent, and it doesn’t plan on selling anymore for at least the next three years. Meanwhile, Lau reduced his take by a measly 0.01%. If you brush those two concerns to the side, there really isn’t much not to like about the Tencent growth narrative. This is the Facebook, Inc. (NASDAQ:FB) of China, but with a lot more than just the country’s largest social media platforms. Tencent-owned Weixin and WeChat have over 1 billion monthly active users, while Tencent-owned QQ has 783 million active users. Tencent is also behind China’s leading video streaming platform (think YouTube), leading music streaming platform (think Spotify Technology SA (NYSE:SPOT)), leading mobile payment service (think Paypal Holdings Inc (NASDAQ:PYPL)) and leading online games platform. Beyond that, Tencent also has burgeoning cloud and AI businesses. Because of this broad-based exposure to the Chinese consumer, Tencent stock really is just a pure play on the continued boom in China consumerism. Considering per capita spending in China is 15% as big as per capita spending in the U.S., the most likely path forward for China consumerism is upward and outward. If so, TCEHY stock will roar higher. The recent drop in TCEHY stock is understandable. You have a stock that had run up over the past several quarters. The recent quarterly numbers were good but not perfect. Insiders sold some, and the stock took a step back. But now, it looks like the worst of that “step back” is over. Lower margins are already priced in, and the focus has shifted away from insider selling. Over the next several quarters, continued robust top-line growth will steal the show from deteriorating margins, and TCEHY stock will rebound strongly. As of this writing, Luke Lango was long TCEHY, AMZN, NFLX, FB and PYPL. Article printed from InvestorPlace Media, https://investorplace.com/2018/04/insider-selling-concerns-just-created-buying-opportunity-in-tencent-stock/.